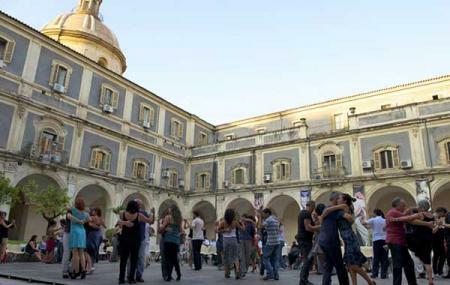 Catania Tango Festival is the largest international tango festival in the country. The dance festival is held for seven days and seven nights. People do the tango to a variety of music and onstage shows and go sightseeing and eat a variety of food from the food stalls. Foreigners from far away countries attend the festival every year. In fact, the festival is also listed in the UNESCO World Heritage List. How popular is Catania Tango Festival? People normally club together Stabilimento Balneare Le Capannine and Museo Storico Dello Sbarco In Sicilia 1943 while planning their visit to Catania Tango Festival.